We were out at dinner the other night, sitting at the bar in our local brewpub and talking about nothing in particular. Really, the conversation was really all over the place, turning to whatever was on the mind at the time. Since we're regulars there, one of the owners knows that we're from Detroit and I'm a big Detroit sports fan. He enjoys the simple fun of buying old-school baseball card packs, and he gives me any Detroit Tiger cards that he happens to get. That night, he brought me two cards. And that brought up a conversation about the latest baseball happenings, including how Detroit Tiger pitcher Max Scherzer had recently left for the Washington Nationals, and he and his wife put a pretty cool ad in the Detroit Free Press thanking the franchise and fans for his years in D-town. We both realized we hadn't seen the actual ad, only saw a news story about it. And so, I turned to my smartphone to check out that ad. And afterward, I happened to glance at Facebook to scroll through some status updates. 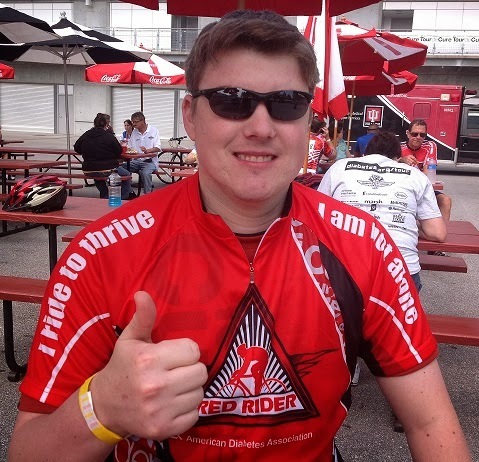 One post came from a friend in the Diabetes Online Community about stocking up on glucose tabs. This reminded me that I'd planned to do that over the holidays, but forgot and never followed through on that task. So, I mentioned that casually. And when Suzi mentioned she thought I still had some of those , I pointed out that my plastic jar containers were gone. All I had were a few little t:slim-styled tins with those GlucoLift tabs inside. And that probably was good for the time being. 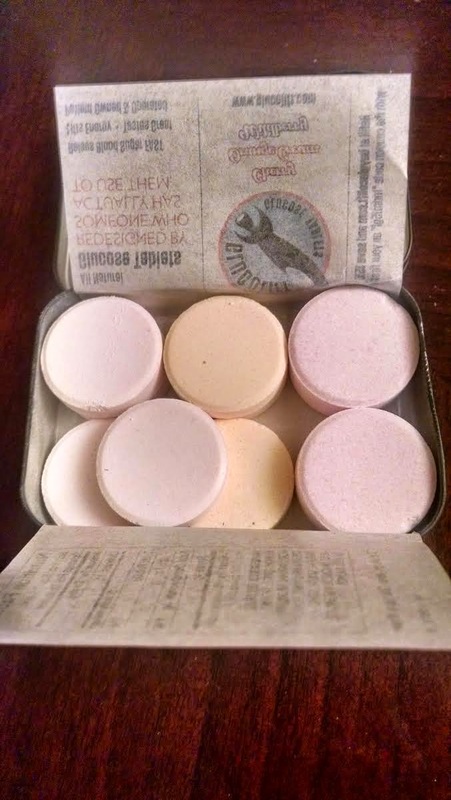 Of course, I'm a weird one who happens to enjoy the taste of glucose tablets -- always have, even those now-defunct BD white squares that so many describe as "chalky." Never thought so, and I used to consider glucose tabs to be little candy-like treats. Still do, actually. Especially the yummy fruit flavored ones. And that's what prompted me to say, "I think there's one of those tins in the car console. I should have one when we get into the car after dinner." "Why, are you Low? Or do you just want to eat one?" Yes, it was the latter and I got an eye roll from that. The dinner went on, conversation evolved, and the evening played out as it usually does. And as fate would have it, I had jinked myself. vibrating on the nightstand. By the time I took the initiative to pull myself out of bed to treat, I was hovering the 40s. And I could feel the Low symptoms. So, I found my way to the kitchen and had an early morning snack of fruity GlucoLift tabs with a juicebox to wash them down. Thanks, dinner-time glucose tab comment. I should've kept my mouth shut, and not tempted fate to mock me. 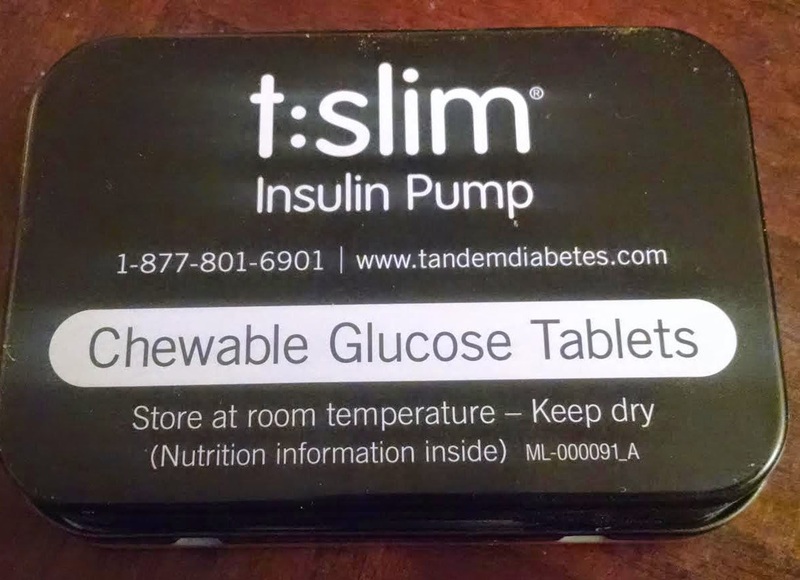 This is the tale of finding a fellow insulin pumper in the wild. It was a Wednesday night, and I was supposed to be at a diabetes camp board meeting being held on the opposite end of town about 45 minutes from where I live. Thanks to some pressing work tasks that day I left later than planned, and heavy traffic at the start of rush-hour delayed my being able to get up to that part of Indy. Actually, by the time I made the longer-than-expected drive, it wasn't even worth going to the meeting. And since I hadn't eaten all day and my mind was fried, I decided to stop off for some dinner before driving home after rush hour. I made my way into a Buffalo Wild Wings, and since it wasn't yet the 5 o'clock hour, the bar was pretty empty. I made my way up to one of the seats with a good view of both big screen TVs, and was all ready to just sit and relax. name-your-big-name-light-beer, ordered some boneless chicken wings and mini corn dogs, and began soaking in ESPN news highlights. (Had to get the latest on the New England Patriots craziness, which I'd been out of the loop on all day). Diabetes was the last thing on my mind, aside from my need to dose for the food that was coming my way. And as I pondered deflated footballs and how two baseball greats being all chummy, I noticed from a glance around that my bartender along with a couple others were off to the side chatting away. Loud enough to hear bits of what they were saying, but it wasn't the focus of my relaxation time and I don't even know what the conversation was really all about. "(Inaudible)... because I'm diabetic, I have to... (inaudible blah)." Of course, my ears perked up. 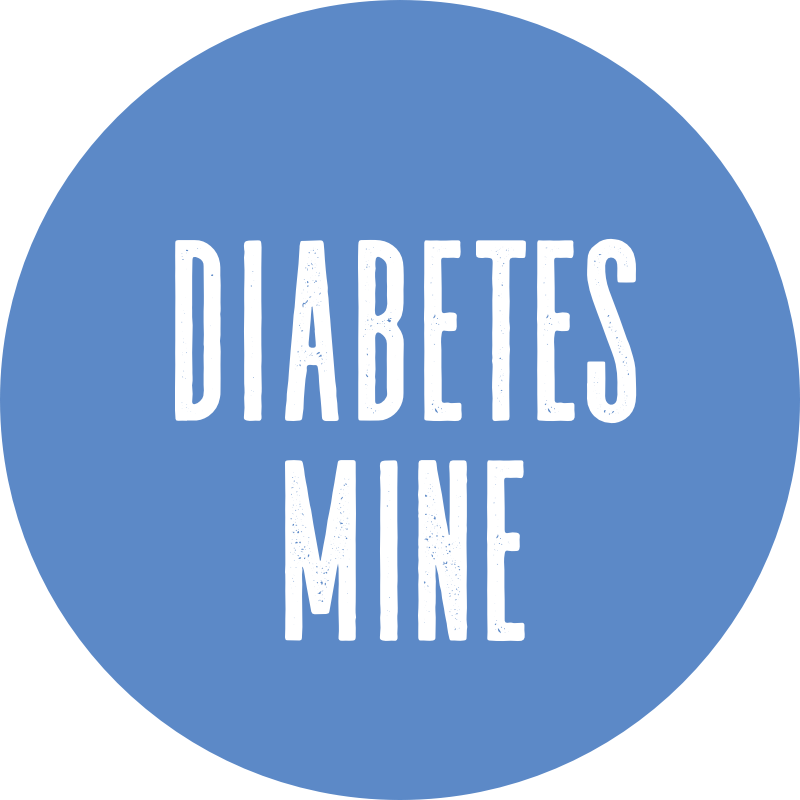 Diabetes had found me, even though I wasn't searching for it. They weren't really saying any more, and within a minute or so she brought my food out. And asked if I needed anything else. Me: "Nope, all good... but did I hear you say you're diabetic?" Me: "Hey, me too! Type 1 or 2? Me: "Same here. Since I was 5." Her: "Really?! How about that?!" We proceeded to chat for about five minutes, with us exchanging diagnosis stories, her telling me she was diagnosed as a teenager, and how she was a fellow Minimed insulin pumper. Yes, we both flashed our Minimed pumps from both sides of the bar and chatted about some of the other brands out there. 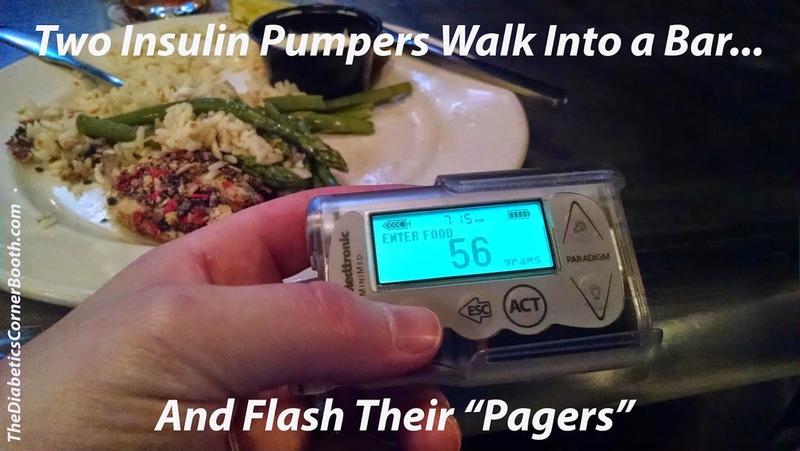 And one of her fellow bartenders came over as we had our pumps out and said, "That looks like a pager!" Enter a quick look exchange and, "Yep, it kinda does." Anyhow, that was about it. She was actually wrapping up her shift and heading out, so it wasn't a very long conversation. But it felt like I'd found a friend. Of course, I shared this with the DOC on Twitter, like you do. No, we didn't exchange names or do any of that. I thought about it, but that wasn't the focus for either of us at the moment and it seemed like we both had other things we wanted to put our minds to. Like going home, and huuuuuge deflated football scandal (I live in Indy, remember). I'm glad we connected, even briefly, because it's always questionable whether fellow D-peeps in the Wild are open to sharing their personal 411 with total strangers. There's not always time or interest, so I'm glad this brief-but-friendly encounter went as it did. If I'm ever interested in re-connecting and inviting her to an Adult D-Meetup or something, I know where to go. ... And the whole Indy D-Community and DOC felt like it was there with us in spirit.